@Rozayraw has just dropped his Mastermind album. 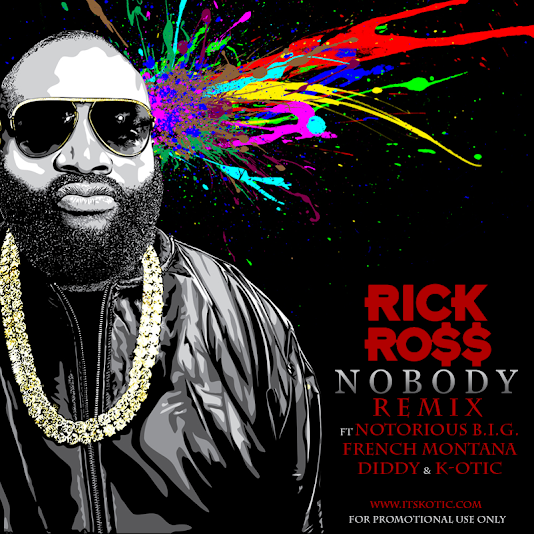 One of its 1st songs to leak off the album was Nobody, a remake of Notorious B.I.G. 's hit You're Nobody(Till Somebody Kills You) off the classic Life After Death album. @itsKOTIC lends a hot verse as he remixes the record blending Rick Ross's version with Biggie's while keeping French Montana & Diddy on the record. Download Link to Rozay's Mastermind album as well as this remix located belowe the jump.